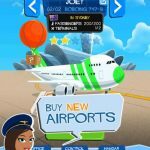 First Class Flurry is an airline-themed game by ViquaSoft for iOS devices, which allows you to become a flight attendant working for an airline that has recently gone bankrupt. With the new owner hoping you bring this airline back to its glory days, it’s your job to make sure everyone on every flight is well taken care of. 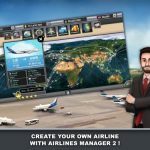 In terms of mechanics, there’s a lot of similarity to games such as Diner Dash, only this time you’re a flight attendant on a plane – it’s still all about time management, though, and taking care of multiple tasks, may it be serving food or issuing turbulence warnings. Being a flight attendant may not be easy work, may it be in real life or in-game, but these First Class Flurry tips and tricks can help you manage that time and ensure your passengers have a smooth and happy flight. As you move around the cabin, you’ll be given several tasks, and these should be done in an organized way. One simple example would be to focus first on filling a tray with food and other items (e.g. drinks, teddy bears) from the galley, and taking out those items first. And when taking out the trash, you should also do it all at once – take all of it out and send it to the recycle bin in one go. Speaking of trash, here’s one useful tip to keep in mind when taking it out. Move from right to left so you can make the quickest, shortest path en route to the recycle bin. As for other tasks, such as working the galley, the technique here is to have everything ready and work your way from top to the bottom, from bottom to top, from left to right, or from right to left. You’ll earn upgrade points in First Class Flurry, and when spending these points, there are several things you can buy in order to make your job easier. Energy drink machines should be upgraded for faster refilling, shoes can also be leveled up so you can go around faster, trays can hold more items if upgraded, and accommodations can also be upgraded to increase your passengers’ patience. Earning more upgrade points is easy. The game allows you to repeat already-completed levels, a technique more popularly known as grinding. 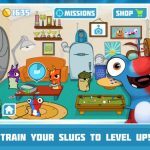 Return to a level you completed and use whatever new upgrades you purchased to outdo your old score or to do well on expert mode. As your score increases, the more upgrade points you can earn. Just like in real-life flights, you also have to be prepared for some turbulence. If this happens, head to the intercom ASAP, assist anyone who needs buckling up their seatbelts, and direct any lost kids back to their seats. Take a seat yourself to earn bonus points, and once you’re done, you will earn bonus points relative to the amount of time you have remaining. How do you use the sweet treats?